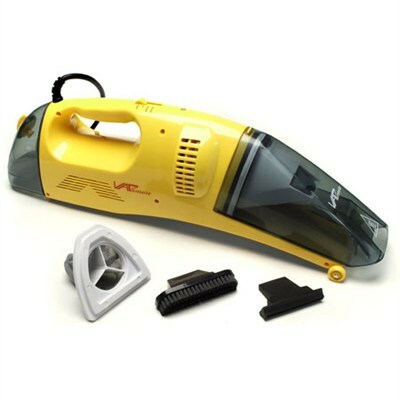 The Vapamore MR-50 Steam Vac is a combination wet / dry vacuum and steamer. The vacuum mode is used to clean wet spills such as pet urine instantly, or to vacuum dry debris such as cat litter spills on hard surfaces, carpeting and upholstery. The two steam modes provide wet or dry hot steam on demand to prevent pet or other related stains and odors from setting in from carpeting, upholstery or any hard surface The steam modes are also used remove set in stains, spots and odors. For wet spills such as dog or cat urine, extract the spill using the vacuum mode. Use the smooth surface squeegee attachment by inserting it into the mouth of the MR-50 Steam - Vac. The squeegee can also be used on all surfaces to remove wet spills. For set in stains or spots on carpet or fabrics skip to step number two. Use the dry or wet steam mode along with the nylon brush to saturate, sanitize and remove the spill or stained area. Use the nylon brush attachment to aid in agitating the spill or stained area by inserting it into the mouth of the MR-50 Steam - Vac. Extract the spill or stained area using the vacuum mode until the spill or stain has been removed. For tough set in stains repeat the process until the stain has been lifted.